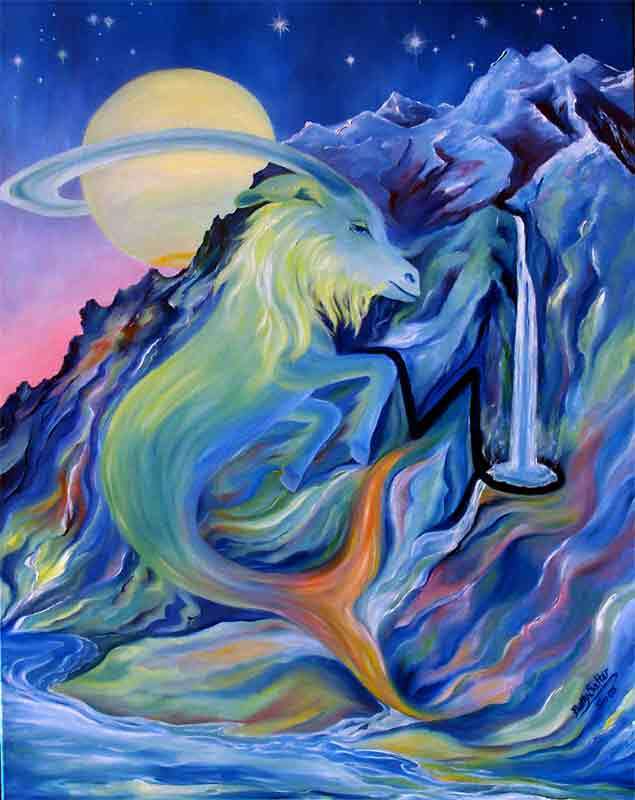 Mercury in Capricorn is squaring Uranus in Aries. Today – or at some point over the past couple days – some shocking news arrived, an awakening to the reality that what you truly desire is not mainstream or anything that would easily fit into what’s culturally expected. 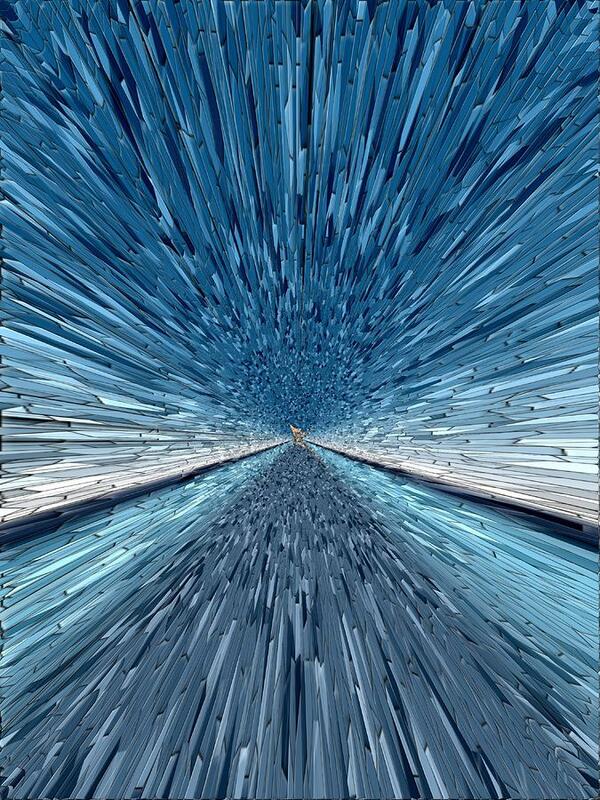 Uranus stretches your mind to accommodate a higher level of awareness. There is something bigger, more challenging, and more exciting on the horizon. You may feel a sense of urgency to embrace it. 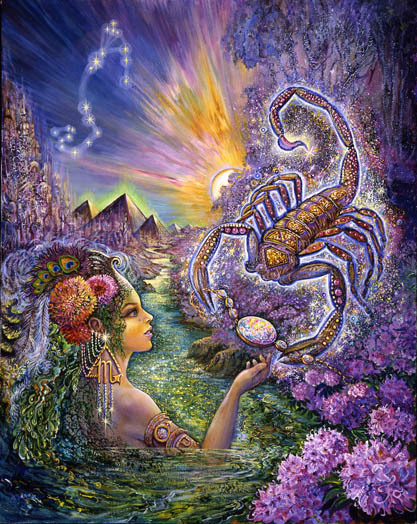 Ceres in the last degree of Scorpio (the nuruturer, cultivator, promoter of growth and life itself) – sextiles Mercury in the last degree of Capricorn. We’ve taken what we’ve been nurturing – an idea, an opinion, a possibility, a plan – as far as it can go in its current direction. All signs point to the fact that things have become too restricted and fear driven. It’s time to wrap things up, to come to some conclusions, and to prepare a foundation that supports something bigger and more exciting. Maybe you’re given a really nice opportunity to say “goodbye” to what was – or an easy out. 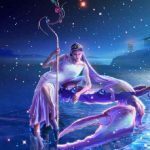 Mercury enters the sign of Aquarius on Jan 24th triggering the position the Sun occupied (0 degrees of Aquarius) within the total Leo Lunar Eclipse. Whatever awakening or break through we experience over the past couple days was promised by the energy of that eclipse. 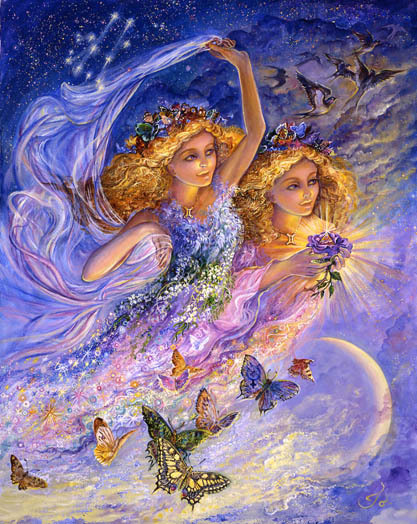 On Friday,January 25th, Mars in the sign of Aries trines Jupiter in Sagittarius. This is big, optimistic, action plans that develops pretty quickly. An unexpected opportunity, introduction, piece of good news, or the removal of an obstacle to progress, will be accomplished. Reminder – until March 5th all planets (and Chiron) are moving in direct motion. Momentum continues to build in a forward direction. Neptune in Pisces sextiles Saturn in Capricorn. There’s an opportunity to bring structure to our dreams. And there’s an opportunity to dissolve structures that support smallness, limitation and fear. Most lkely we can now see a way forward. Vesta in Aquarius inconjuncts the North Node. A devotion to the most authentic version yourself requires adjustments to an old interpretation of what your life’s purpose entailed. It’s bigger and more innovative you thought. 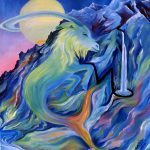 Saturn’s sextile to Neptune triggers a clarification of how you can use your powerful imagination and access to the underworld to enhance success and manifest your dreams. A fortunate loss may have triggered the clarification and given you an opportunity to show the world what you can do. There is the option to stay stuck in “victim mode” – or in the dry, inflexible world of following success formulas that have always worked in the past. But you don’t have to. 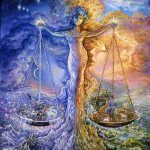 There is a bridge between the best of both worlds and it runs right through your 11th house – the house of your highest ideals and your ability to stage a giant protest in support of those. Maybe your “cause” is saving a unique part of yourself. Maybe the cause is saving humanity. Either way it’s worth risking the rath of the status quo to move things onto a more soul satisfying and progressive track. An enlightened and elevated version of your own persoanl “rhythm of life” is on the horizon. It’s a rhythm that allows you to effortlessly create and produce an abundance of whatever brings you joy while savoring being insulated from the intrusions of time, space, and the needs of others. Music you love can move you into your sacred rhythm. Nature can do it as well. The combination of both is incredibly power. But there is the need to completley rework the structure of your life and it’s foundation to accommodate and facilitate your most natural rhythm. The competitive world doesn’t especially like your way of doing things especially when you’re really resonating with yourself. It’s too slow and self-absorbed. My message is that your natural rhythm is the thing most worth protecting when you’re deciding how to structure your new foundation. 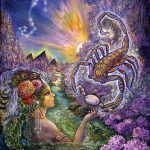 Mercury’s move out of the claustrophobically intense 8th house into the freer 9th signals more personal freedom to be who you are. 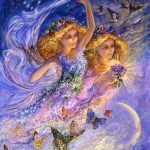 For Gemini that usually involves being two things at once – holding two opposing beliefs, opinions, or areas of focus at the same time. Typically you’re condemned and accused of being inconsitent or for your dual way of being. But that’s less likely under current astrological conditions. Duality seems to work to your advantage for at least the next month. It’s an advantage to speak two languages, to hold dual citizenship, to protest the status quo of a culture and expect it to respect your right to do so, to feel entitled and “better-than” while working to improve the lives of the disadvantaged, to deal with emotional devastation while maintaining a high level of functioning in the work place, to dress eccentrically when we’re actually pretty conservative. It all seems to work now. The more contrast the more interesting, entertaining, and truthful you may be. For Cancers the 8th house of death is lit up and very alive these days. 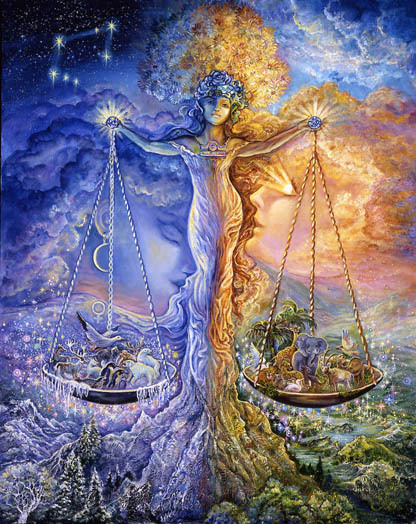 How will we use the eneergy of the 8th house to protest or do the opposite of what this controlling house encourages you to do? 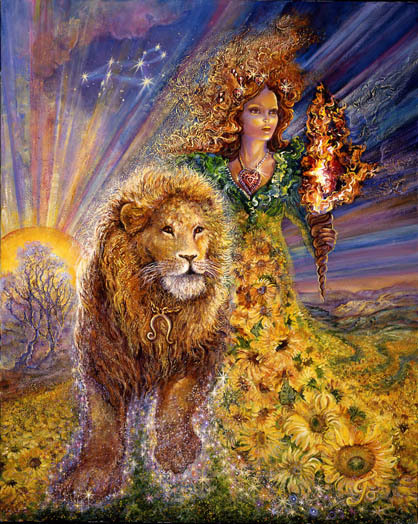 The Aquarius Sun and very soon Mercury are deeply invested in counter-cyclicality – going the “wrong” way.. zigging when they should be zagging, etc. The 8th house likes to scare and overwhelm us with the threat of death, loss, and things that are beyond our control. Refusing to submit entails suspending in our head the restrictions of time and the fear of time “running out.” If you were going to live forever – or for much, much longer than you expect to live – what would you do differently? How would your lifestyle change if you actually had time to savor what you love and trusted that you’d be given all the time you needed to do what you wanted to do? Let your answers guide any life changes you might consider making. Your 7th house of relationships may be the scene of a rebellios uprising. Your best move is to do the opposite of what you’ve always done within the realm of relationships. 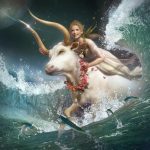 Everyone is thrown a little off balance by Aquarian’s tendency toward unpredictability, explosiveness, opposition to the status quo, and doing things the same way everyone else does them. Leo always has his hands full trying to balance the needs of Aquarius AND Leo. He assumes the world revolves around him so the whole idea of a balance and compromise is challenged from the very beginning. Add to the dilemma the fact that both signs are inflexible. 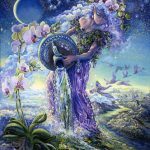 Opening you heart to the idea of integrating a little more of the “Aquarian way of being” into your own life defuses things. 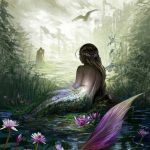 It’s time to stop delegating “Aquarianism” to a partner who only gets more erratic as you resist embracing a life that’s more unorthodox and exciting. 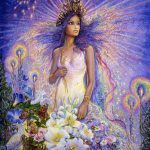 Mercury’s move into your 6th house of work and health routines encourages you to find the inspiration for something more innovative, authentic, personally enlivening, and, of course, efficient, and effective. Your relationship with work and your health may be ripe for change. The answer to what would restore your interest and effectiveness lies in your own personal “underworld.” Something shimmering on the ‘ocean floor of your life” looks like it could be of great value to you. You may have to swim through some darkness and muck to get there, but the time is right to access deeper sources of innovative power that move you onto a more enjoyable track. In practical terms consider that it might be more effective and enriching for you to do the opposite of what you’ve always done. Next time you have a mountains of paperwork on your desk consider closing the door and listening to yourself breath for awhile rather than ploughing through in record time. The easier way may save you lots of time and energy in the long run as your options are clarified in quiet, tuned-in moments. 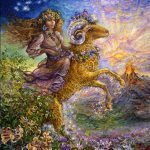 The Sun’s recent move into your 5th house of children, lovers, and creative self-expression awakens the part of you you love most – the eccentric, exciting, rebellious, “not doing it the same way everyone else does it” person that you are. The rebel in you most likely needs more free time and more space to love, think, and create. The 5th house is the authentic you and it needs to be energized, alive, and well cared for. 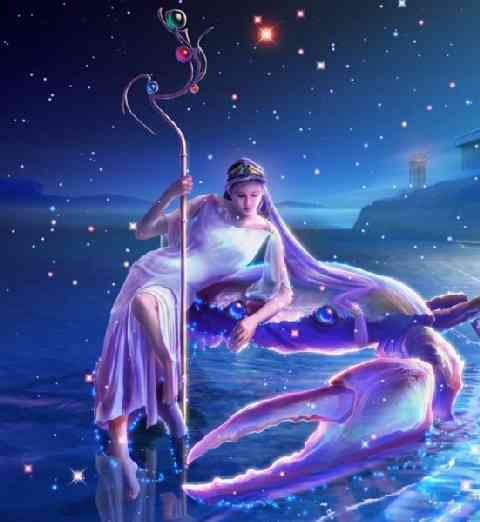 Mercury’s impending move into the 5th house intensifies the need to say what you have to say about the nature of love, your need to actualize your highest ideals, to be surounded by interesting, (eccentric) supportive friends and allies. Opportunities to lead may be forthcoming. The quality of your energy enlivens the masses. Now is the time to make sure your batteries are fully charged and to arrange your life in ways that ensure they stay that way. The time for pretending you’re “normal” and that you belong in the “usual” sense may be over. Mercury’s move into your fourth house brings you face to face with your own unique security needs. Those don’t resemble what most need. You require something freer, more routinely disruptive, exciting, eccentric, enlightend, hard-hitting, and truthful. 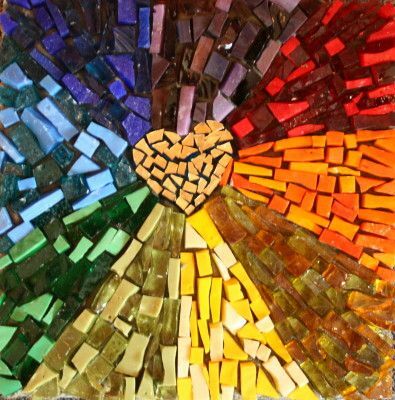 A chaotic relationship that holds within the promise of something unusually creative and entertaining feeds your soul. So does a form of love that doesn’t align with standard patterns Interestingly you may land in the midst of something very structured with expectations that require you to be two people at once – “in this world but not of it”, detached but present, in touch with higher vibrations that need to be brought down to earth. Now is the time to assess whether your foundations (home) support your needs given who you are and what you require in order to feel secure. This is very basic. The loss of something you experienced as comforting, nourishing, healing – maybe a supporting pillar of your ability to survive – inspires fear. But it also presents you with the opportunity to free your mind of whatever or whoever told you you couldn’t function independently… that you couldn’t trust yourself to make your own decisions about where you wanted to go and how you wanted to be. Now you may discover none of that was true. It was never true, except maybe in the mind of someone who benefitted from your dependency and encouraged you to believe anything else would be unsafe. Something very important is clarified this week in terms of your freedom, independence, and ability to trust your instincts. Metaphorically jumping off a cliff or being pushed moves things in a stabilizing, soul-satisfying, pretty exciting direction. 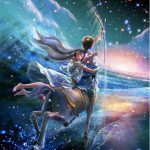 From some perspectives the 12th astrological house is the most important in determining the the circummstances of one’s life. It’s your personal “underworld” where unconscious/subconscious fears, desires, needs, and unrealized dreams, are stored. Hidden treasure can be found here as well but it requires a willingness to explore what lies beneath. That’s not a direction Capricorn is inclined to go. They’ve got their hands full managing what’s happening on the surface. They assume that letting “sleeping dogs lie” will save them from another mess they’ll be charged with untangling. This week you’ll be happy if you sit quietly for awhile and tune into your underworld. Something very fortunate is occurring beneath the surface. A life direction change opportunity moves you closer to what you love, what you need, what your soul craves, and a type of freedom that has remained elusive for most of your life. You may “get it” that now is not the time to waiver. 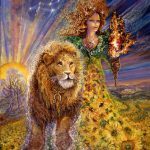 Whatever change was triggered by the Leo Lunar Eclipse requires follow-though on something challenging and adventurous. Laid out in front of you may be what you’ve been wishing and waiting for – something like the clarification of a dream that shows signs of coming true. It’s time to fortify your belief in yourself, to know that you were made to do something bigger, to bring others along if necessary, and to take full advantage of the opportunity to demonstrate your faith in your highest ideals. Find concrete ways to remind yourself that what once seemed impossible is now immminently possible. Changing your style – your clothing, your hair, and outward appearance to conform to where you’re headed seems to be an especially powerful way of re-setting your mindset when it’s time to adjust your direction. 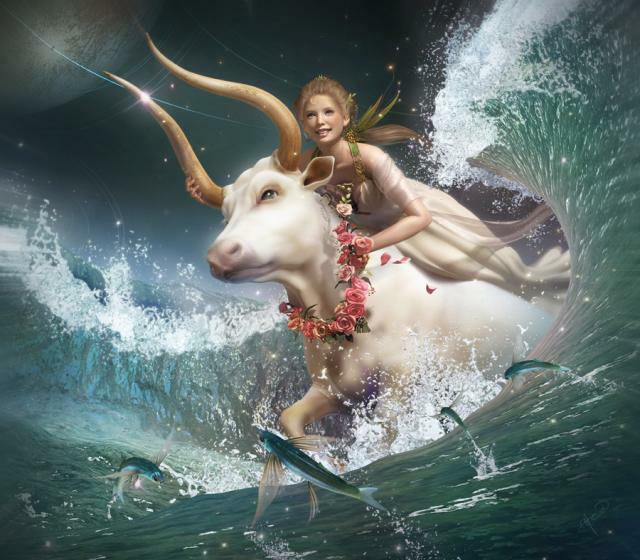 You may sense that you’re on the cusp of stepping into a more “Aquarian” way of being. Generally this involves throwing a few “curve balls’ to keep things interesting, following your curiosity wherever it leads, going your own way, doing your own thing, being independent, innovative, original, and extraordinarily protective of your freedom. 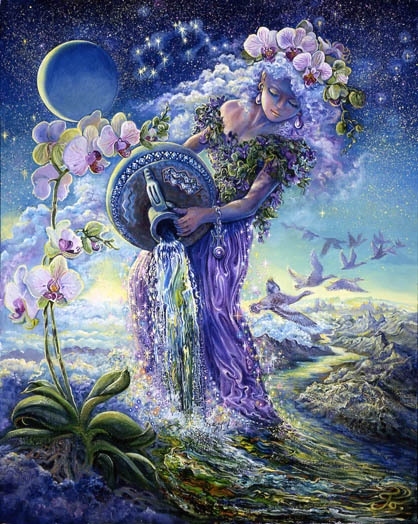 Aquarians must respond to their survival instincts that tell them to detach from other’s expectations of what they should be and where they should be headed. Consider what would give you the freedom to operate in more independent, authentic ways, and do what’s necessary. Your life direction could may change in the direction of something much freer, more expansive, and more unorthodox.